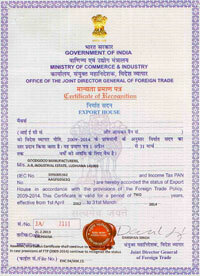 Goodgood is manufacturers and exporters of the high quality carbon steel Coil Rods. 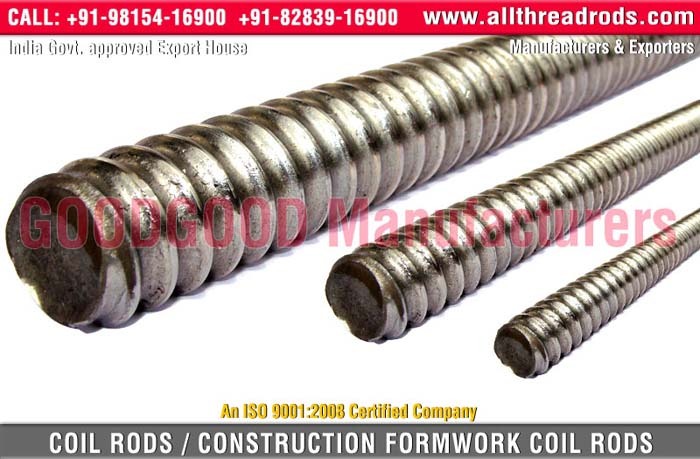 Coil Rods are also known with other names like coiled steel wire rod, coil rod for concrete, construction coil rod, coil rod, high tensile steel rods, high tensile threading rod, high tensile wire rod, hi tensile coil rod, construction formwork coil rod, high carbon steel rod, thread coil rod, high carbon wire rod, tensile strength of steel, tensile strength of steel, high alloy welding rod, insert rod, high carbon fly rod, high carbon rod, coil spring wire rod etc. 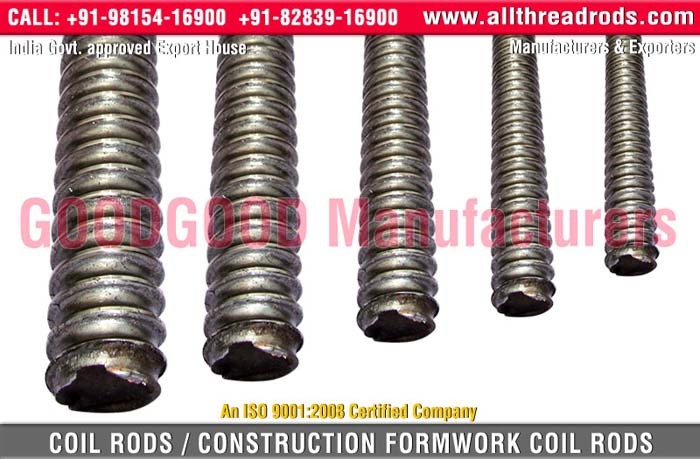 Threaded Coil Rod are made of Grade 4.6, 4.8, 5.6, 8.8 diameter rod. The threaded portions are UNC coarse threads with no chamfer on the ends. Quality makes the difference in the threaded products that we manufactures, We have adopted the Quality Policy that there can be no compromise where the quality of our products is concerned. 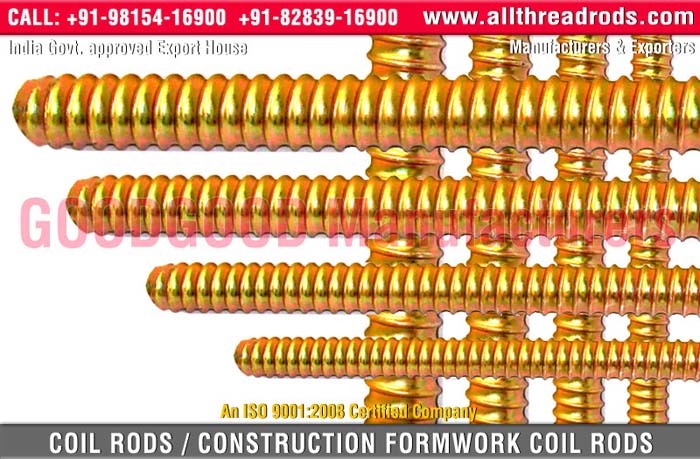 A strict systematic quality control program ensures that threaded products conform to customer specifications.